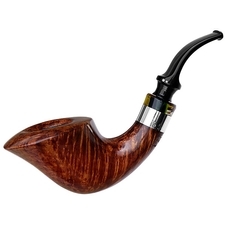 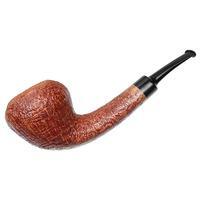 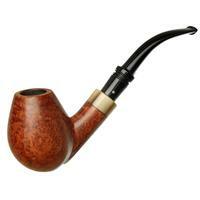 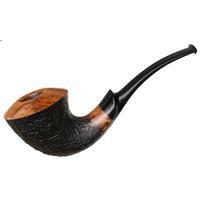 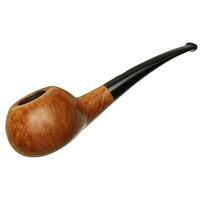 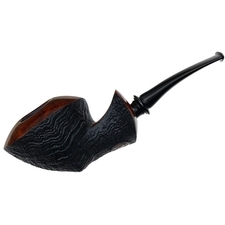 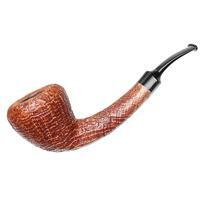 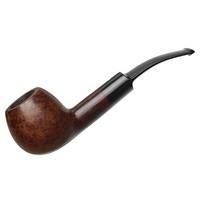 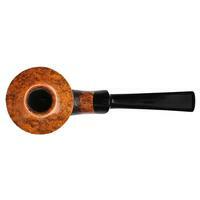 The clean, gracefully flowing, yet considerably substantial shaping of this Skovgaard bent Dublin has been given a light, but well-defined sandblast, preserving the design's clean Danish lines. 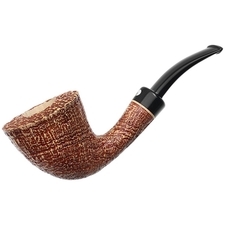 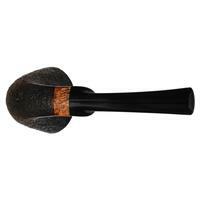 That very same sandblast has also done an equally magnificent job of highlighting the crisp, tactile grain that entirely encompasses the sturdy, stout-walled bowl. 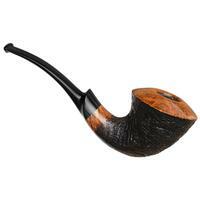 Up top, we find the perfectly polished, gently curved dome of the rim that has been given a warm finish that delightfully contrasts with the dark stain on the flanks of the bowl. 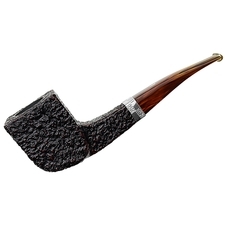 A very cool, quintessentially Lasse piece here.